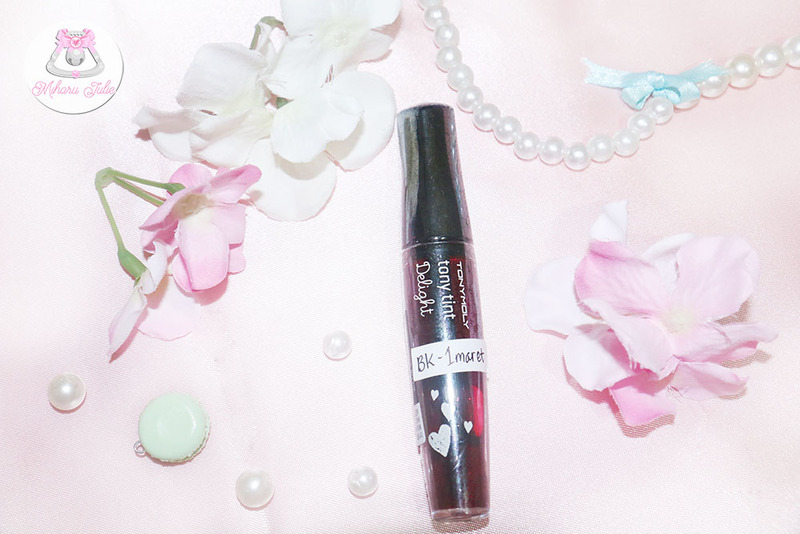 Over the last few years, Korea has taken over the beauty world by producing products I didn't know we needed—and now can't live without. 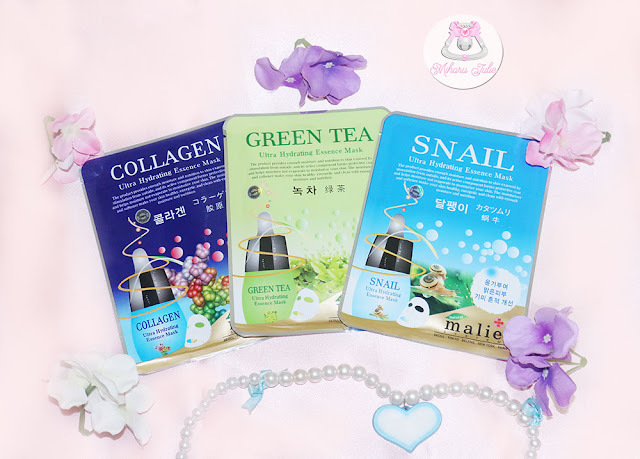 Think BB and CC creams, acid foot peels, cushion compacts, sleeping masks and more. I'm glad now some of the hottest Korean beauty trends can be sent right to your doorstep thanks to e-commerce site, Korea Buys. 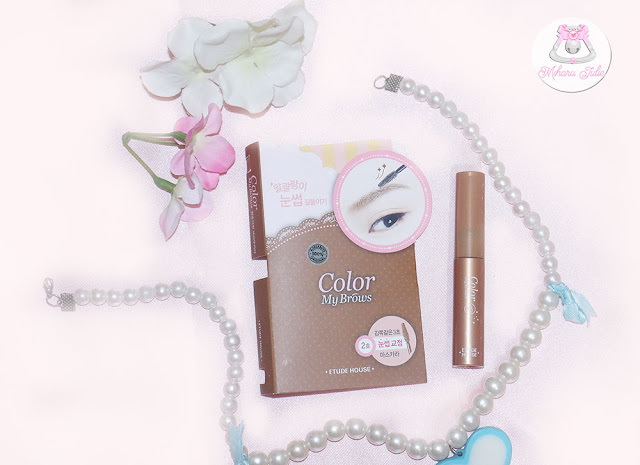 KoreaBuys.com is the largest Korean fashion and cosmetics online shopping platform in Southeast Asia including Indonesia with many famous Korean cosmetics and fashion brands. You can buy original Korean cosmetics such as Etude House, Missha, Tonymoly, Laneige, The Face Shop, Innisfree, etc.at the lowest and cheapest price in the fastest and safest delivery method. Korea Buys host many famous Korean original fashion brands, such as Cherrykoko, Chuu, naning9, Goroke, etc. These Korean prestige brands guarantee all products are original and from Korea. Korea Buys also offer various styles of women’s clothes including tops, blouses, pants, jeans, bags, accessories, etc, directly from Korea. 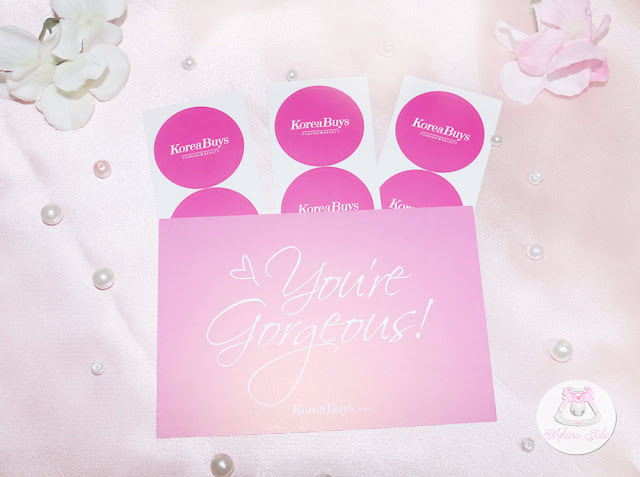 When my KoreaBuys Beauty Box arrived, it included six full-sized products with a pink card and sticker. I love how the beauty box and products was well packed. 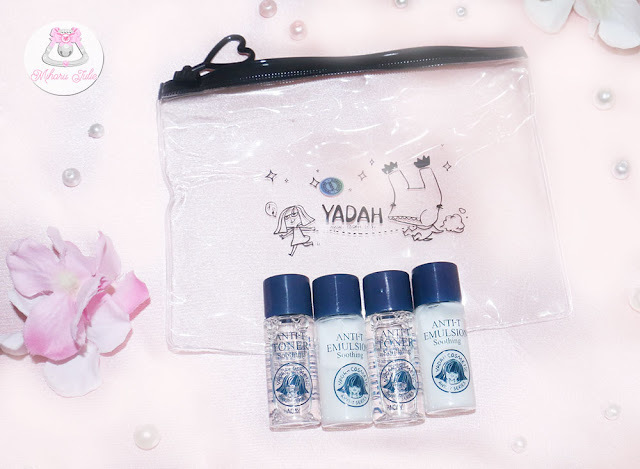 The products are wrapped in bubble plastics sitting inside loads of soft pinkish gift papers, so there's two layers of protection! Everything is protected in a hard white box and the KoreaBuys logo on it.. Now, let see the products I get from Korea Buys Beauty Box. For lips: Using your finger or a lip brush, apply it on your lips. For cheek: Using your finger or sponge, apply it evenly on the part of your cheek that protrudes a bit when you smile. 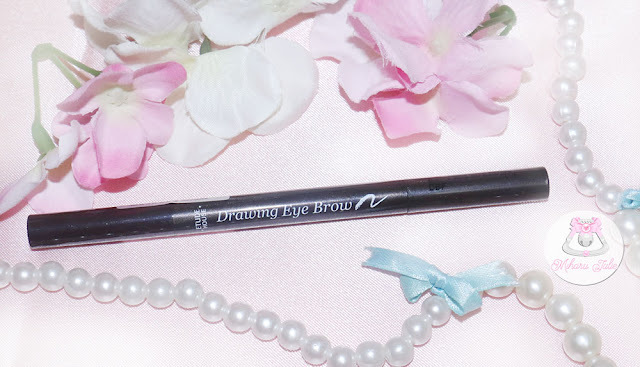 Perfect eye makeup in 5 seconds or less - No brush needed! 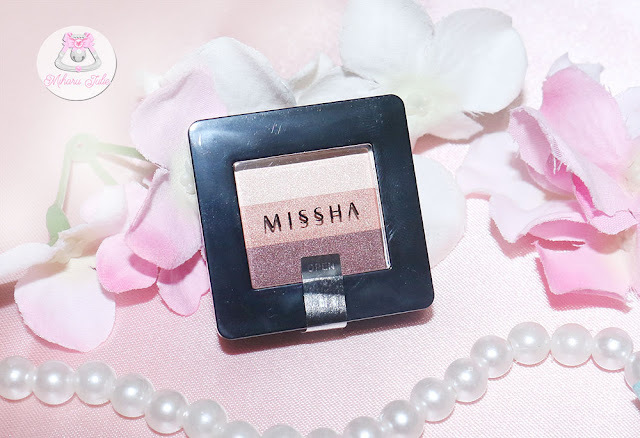 With just the tip of your finger, anyone can achieve perfect eye makeup with MISSHA The Style Triple Shadow. Three colors are built in one container to apply with any color combination you desire. Using your finger - Using your index finger, gently slide it from left to right on the shadow to take 3 colors evenly on the finger. Gently apply it from the front to the end of eyes. Using a brush or a shadow tip - Using a shadow brush or a shadow tip, apply the base color, at the top of the shadow, on the eyes. Thickly apply the point color, at the middle of the shadow, on the eyelids. Apply the liner color, at the bottom of the shadow, between eyelashes to express deeper colors. 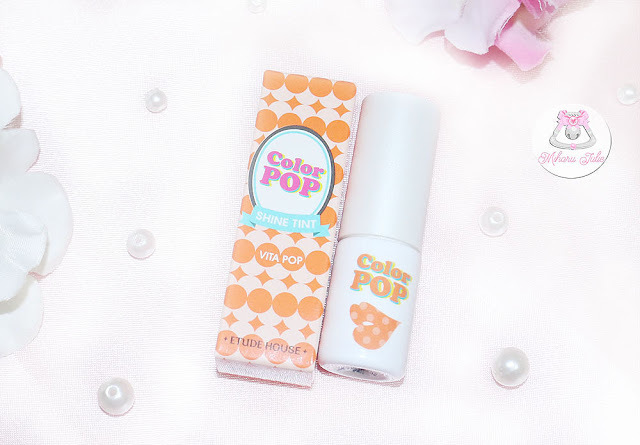 I love this product, like everyone else i was a bit shocked by the small size but I love Etude House Color Pop Shine Tint because it doesn't make my lips dry and the color is really pretty. 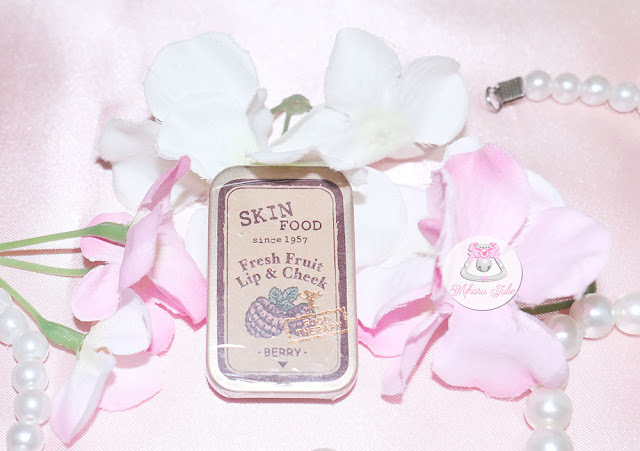 It´s absorbed rapidly in lips because Jojoba seed oil is contained and cellular regernation ability is excellent and encourage plow power and elasticity. Also contains other nourishing ingredients to help the lips look lively and vibrant. 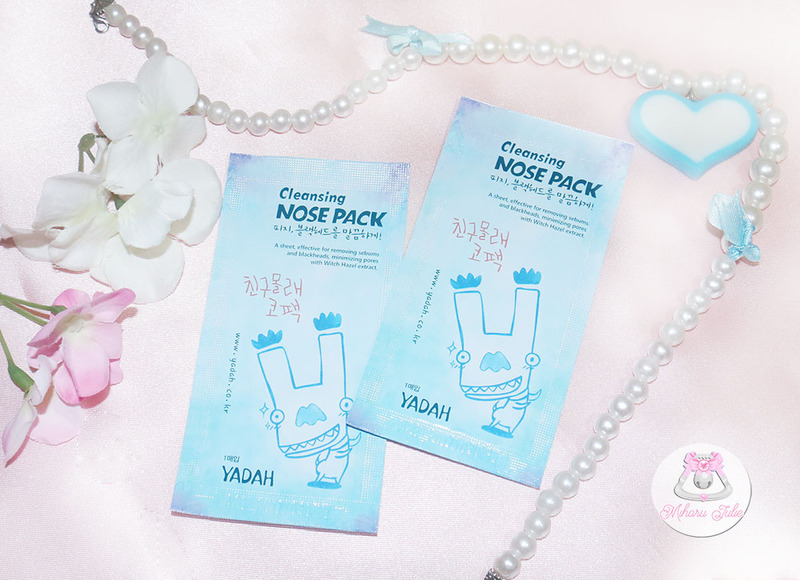 Blackheads, sebum and fuzz can be removed easily with YADAH cleansing nose sheet. The extract of Witch Hazel helps the process of soothing skin and astringent effect for pore tightening. Non drying; includes glycerine to moisturise skin. One box contains 10 strips. Super-effective high protection against harmful UVA and UVB rays. Natural and organic-based extracts make it less irritating to the skin. Can be used alone or as the last step in your daily skincare routine. Anti-wrinkle, anti-oxidant, brightening, UV sun protection, moisturising, sebum control, and the best part of all, it comes in pink and yellow undertones for natural-looking skin coverage. Available in Light Beige and Natural Beige. Well, let me tell you that KoreaBuys Beauty Makeup Box. For paying only Rp.249,000 we can get products worth Rp.905,000 What an amazing deal. I will review all the products soon so please stay tuned. For now you can visit the KoreaBuys website. its full of lovely products. I love korean products. jul udah coba belanja di stylekorean?? kok aku penasarn pengen tapi belum tau bayar nya ribet atau praktis?